AUTHENTIC LOG CABINS. ALL BEAUTIFULLY RESTORED. Escape your daily routine and enjoy life’s simple pleasures. 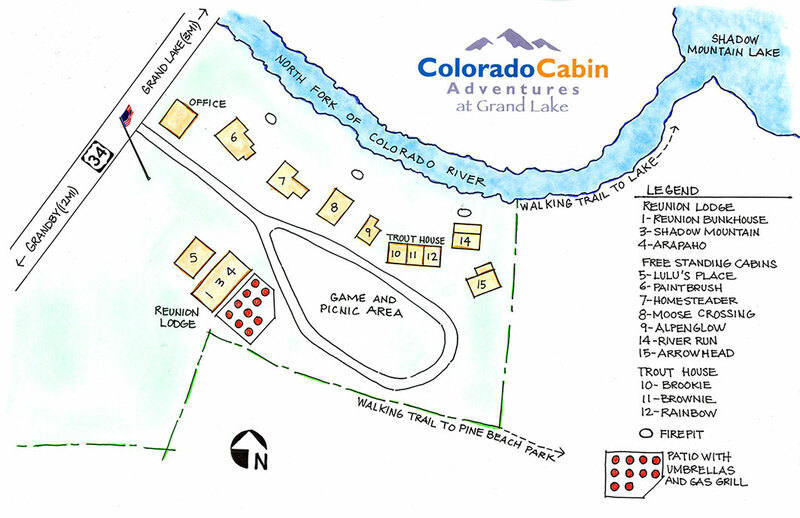 All 13 units provide a rustic cabin experience with all the comfort you need. With our dedication to Mother Earth, local “Beetle Kill” pine wood was used for custom carpentry finishes. Some dating back to the early 1900’s, each of these sweet individual cabins has unique characteristics and old fashioned charm. Named after our favorite river catch, this neat cabin offers three individual suites and one very long porch, ideal for watching the sunset. Ideal for large families and a must for reunions and groups, this two-story cabin has three individual units: two up and the Reunion Lodge down. We provide our guests with enough creature comforts to keep Mama happy. Because if Mama ain’t happy, ain’t nobody happy. Becky and Josh, our Resident Managers, have the inside scoop on everything from guided fishing tours to catered dinners on the property.